Well, it’s the Fall season in Columbus and Central Ohio, and we know that means two things: 1) Ohio State football is on everyone’s minds, and 2) the weather is beginning to get cooler. Most people view the cooler weather and the falling leaves as a warning to get a few things done around the house and then get the heck inside! But we’ve created a super-simple list of 8 things to do around your house during the Fall in Columbus and Central Ohio to make the most out of maintaining your home. And guess what, it can all be done in a matter of one or two weekends, TOPS! Columbus home exteriors, especially those facing the North direction, are starting to get a little dirty and mildewy (Is that a word? Probably not.) around this time of year. Powerwash your exterior to get all the grime off and keep your home looking clean for when Spring rolls around. 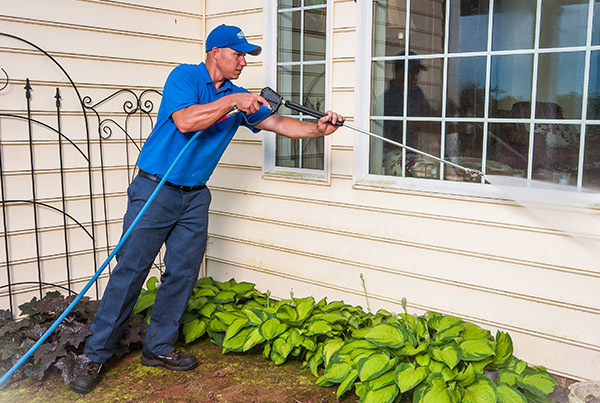 Plus, by powerwashing the home, you’ll also be maintaining the integrity of your siding, brick or stone… whatever your exterior. This will save you big bucks down the line. Don’t own a powerwasher? Rent one from Home Depot, ask a neighbor, or add it to your list to Santa this year. Weather you have a lush green lawn, or a weedy mess throughout the year, the Fall is the best time to do a few things… all of which are inexpensive, and will have your lawn sitting pretty for Spring and Summer next year. Mow Low-ish: Don’t leave your grass blades high going into winter. And don’t scalp your lawn. But give it one last mow, leaving the grass a little less than medium height on your mower settings. 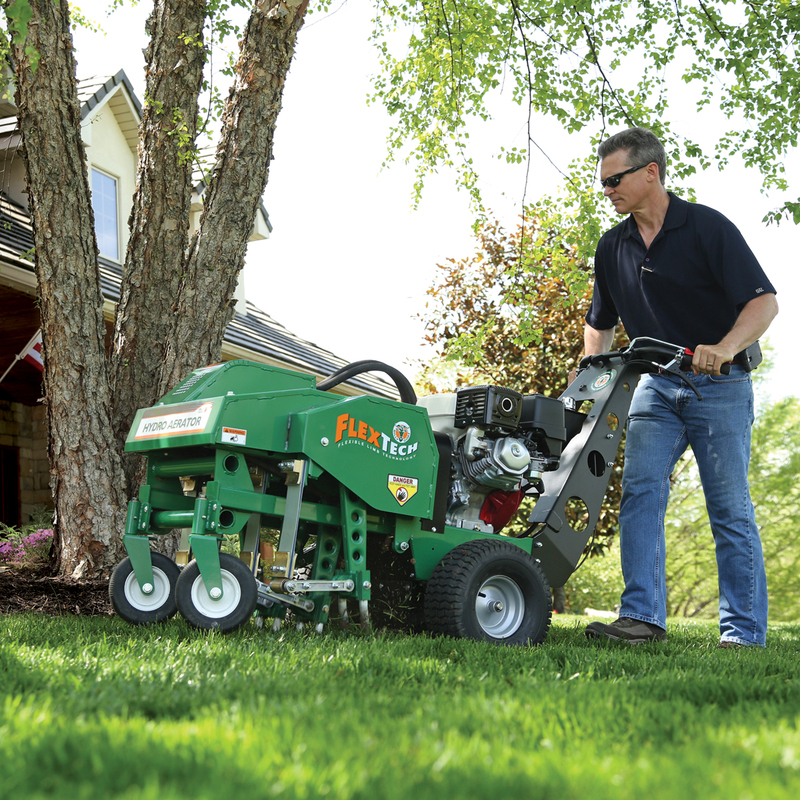 Core Aeration: You likely don’t own a core aerator. You can rent one from Home Depot or Lowes, or you can higher someone to do this for you. This is one of the best things you can do for your lawn each year, and early-mid Fall is the perfect time. It’ll help with your soil and grass root growth come Spring. Overseeding: After aerating your yard, add a nice thin layer of new grass seed on your lowly mowed, aerated yard. The seed will penetrate into the holes from the aerator. Water it in, and Spring will reveal some great new green additions to your already mature lawn. Fall Fertilizer: Get a bag of Fall Fertilizer (or higher someone) to spread across your yard. Uhh… that’s about it. Everyone dreads raking up the leaves, but it’s necessary. It helps keep your yard looking good, and it benefits your lawn and soil, preventing disease, mildew, and trampled grass blades. Plus, even though the weather is getting cooler, at least here in Columbus and Central Ohio, we still have plenty of days leading up to Thanksgiving that are in the high-50’s, 60’s, and maybe even 70’s. 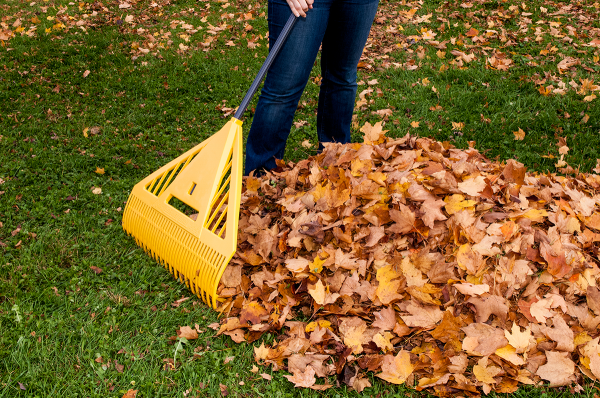 Take advantage of the weather, and rake your leaves. It’s also the perfect time to take at least a few minutes and trim some of the dying limbs or branches off some of your trees. And you can also trim your bushes and hedges. As leaves are falling, most of them hit the ground. But a large majority also land on your roof and gutters. And a clogged gutter can lead to major problems down the road – especially with winter coming and potential ice dams in your gutters. Damn ice dams! 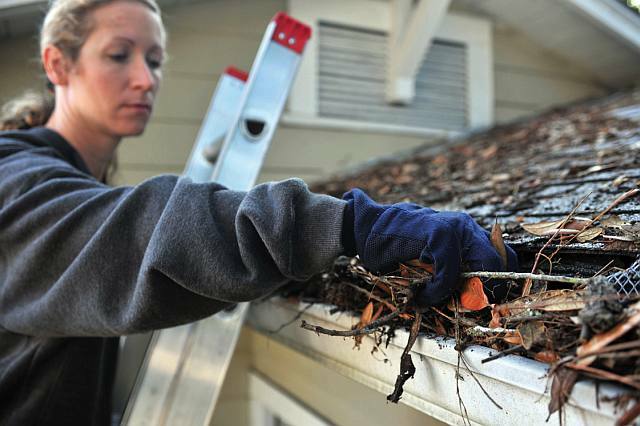 Get your ladder out, or pay someone to clear your gutters of debris. Have a blacktop driveway, now’s a good time to have it sealed. It’ll prevent cracking and chipping/pitting over the winter. AmeriCoat in Columbus has done the best job in our experience, but I’m sure there are lots of great companies to help you out if you need it. 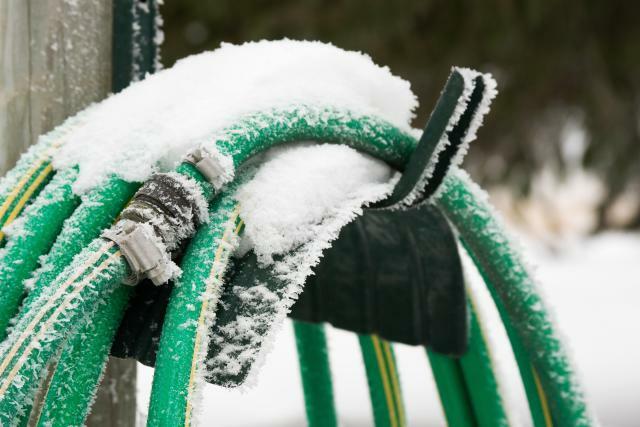 Don’t get hosed by a broken pipe or a split hose once Winter freezes things up. Make sure all your exterior faucets and hoses are turned off and completely emptied (drain the lines). 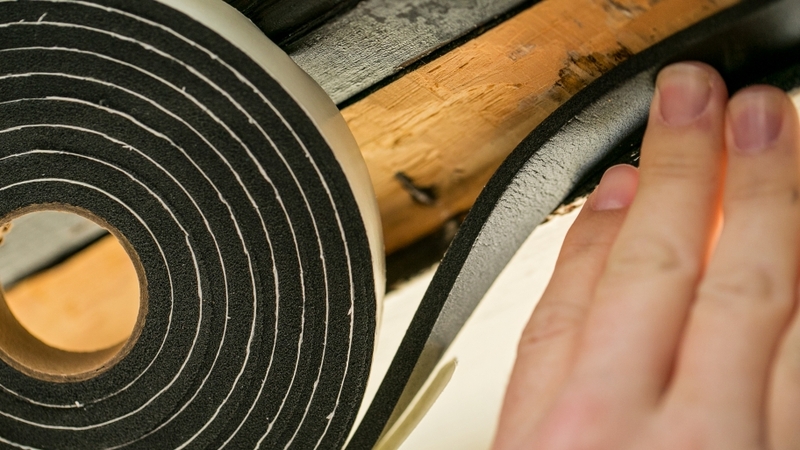 You’ll want to be sure to disconnect all hoses attached to faucets, and store them on a hose reel, in a shed, in your garage, or in some sort of weather-resistant storage solution. 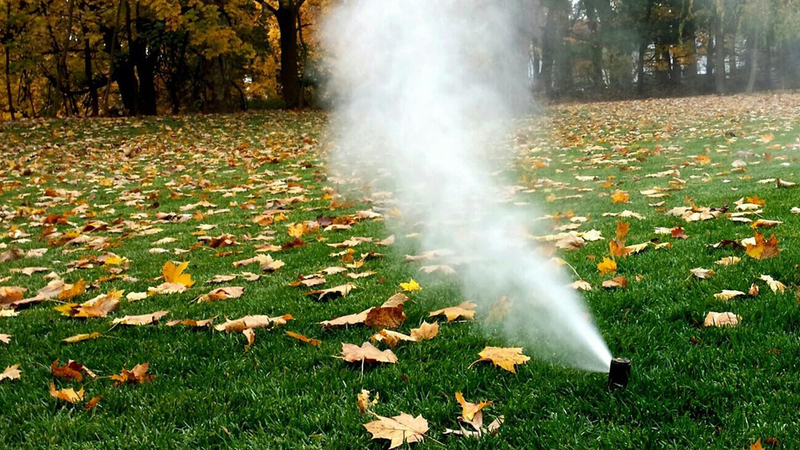 This won’t pertain to everyone, but if you’re a homeowner with an irrigation system built-in to your yard and/or landscaping, you’ll be sorely ticked off if you don’t winterize your irrigation lines. By not doing so, you run a great risk (almost a certainty) at your lines freezing and cracking or breaking, creating leaks that could be costly later on. Just google how to do this, or hire someone to inexpensively come and do this for you. Fall is the PERFECT time to assess your doors and windows to determine if there are any gaps present which will allow cold air to penetrate into your house (and likewise, let warm air exit). This is a super-simple job. Don’t overcomplicate it. Please share this page and the information here with anyone you think might find it useful. Connect with Cbus Homes on Facebook, Instagram, or Twitter and let us know how we can help you with your real estate needs. We’d love to hear from you if you have any comments or questions. Plus, use the sharebuttons below to spread the word and share to your social media accounts like Facebook and Pinterest. Have a few minutes? Check out more of our blog posts and videos. And if there’s anything we can do to help you, whether you’re thinking of buying or selling a home in Columbus and the surrounding areas, I’m always available and always happy to help.